All of our wet shaving training courses are designed with one purpose – to help you maintain your competitive edge in an overcrowded marketplace. With more and more barbers, hairdressers or beauty therapists competing in an already saturated market how do you stand out from the crowd? One way to do it is to be constantly updating and reviewing your skills. We live in a time when men are no longer scared to spend time (and more importantly, money!) on looking and feeling great. The range of treatments that are now socially acceptable for men to enjoy is growing daily, and male grooming is the fastest growing sector of the beauty industry. Ten years ago you would struggle to find a barbershop that did shaves, now it is hugely popular and becoming something that a lot of men expect their barbers to offer. I predict that within the near future other treatments such as massage, waxing and facials will all be regularly offered in barbers. Our courses will help you develop the skills you already have, whether they be barbering, hairdressing or beauty therapies, and make you ready to carve your own niche in the male grooming market. 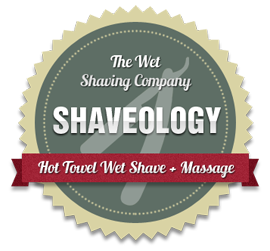 This is our most popular wet shaving training course. Two intensive days that will give you not only the competence but also the confidence to perform great, professional straight razor shaves. Each student will perform between eight and ten shaves as well as covering face and beard mapping, common shaving problems, how you can advise men to avoid these, health and safety considerations (for you and your client) and everything else you’ll need to know. The reason for performing so many shaves (most shaving courses out there will only get you to do one or two) is that the more face and beard types you can shave – old, young, fat, thin, heavy beard growth, light beard growth – the greater your confidence after the course. I recommend that you do at least a further 12-15 shaves in the fortnight after the course to get yourself fully prepared before launching your new service. Numbers are limited to a maximum of four students. Cost is £300 each for four people, £350 each for three people, £400 each for two or £600 for one. As you can see above I usually recommend that students do around 12-15 practice shaves before launch. There has always been a percentage of students who, for whatever reason, don’t get round to doing these, and lose their newfound skills. For these people, and anyone who wants to learn skills quickly (and is impatient to get started earning money! 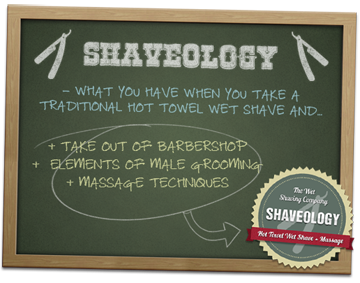 ), we’ve introduced our Launch Ready Shave Course. A full five days training, during which you’ll perform up to 20 shaves, plus learning Waxing For Barbers, culminating with an official launch party in your salon on the last afternoon/evening (a great opportunity to involve local press, plus regular clients and new ones). This is a fully guided course that will take you from complete novice to professional shaveologist in just five days! Because of the intense nature of this course I limit it to a maximum of two students so that you can be assured of learning the skills you’ll need quickly. Cost for the five days is £700 each for two or £1250 for one. This is the wet shaving training course designed for people who already have some experience with babershop shaving who either haven’t shaved for some time and want to refresh their skills, are still shaving but are not 100% happy with their shave routine, or struggle and lack confidence in a particular area. The course is open to everyone, whoever they did their original shave training with. Over the years I’ve done wet shave training with several different barbers and have found that we all teach and do things slightly differently, and a fresh perspective and slight change of technique can sometimes make the world of difference to your competence and confidence. This course is individually tailored to your needs, and can easily be combined with our Indian Head Massage and Waxing For Barbers courses. 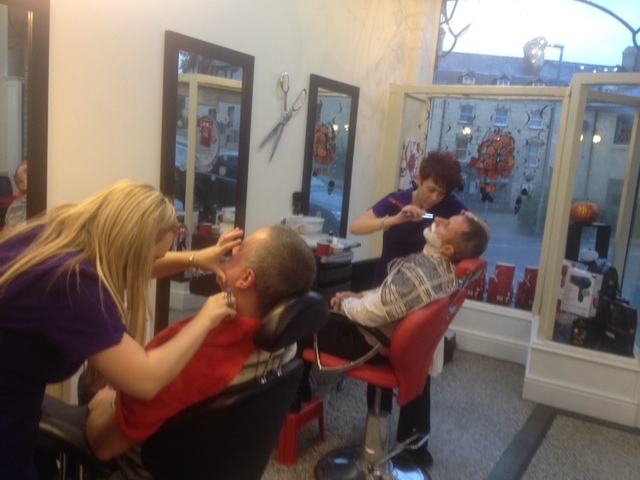 It can also be done alongside other staff members learning our Luxury Hot Towel Wet Shave Course. A wonderfully adaptable massage – everything from a two minute scalp massage at the basin to a full 30 minute neck, shoulder, scalp, face and arm massage. This is a professional massage qualification. No prior knowledge or experience is neccessary, although there is pre-course study and a short written test. This is a one day course, cost is £150 per person, minimum two people, discounts available for four or more students. Usually waxing courses are reserved for beauty therapists, and require an in depth knowledge of anatomy and physiology, particularly the skin. This course has been designed, by Andy Rouillard of Axiom Waxing and The British Barbers Association, to provide a short, self contained course that teaches you all you need to know to wax eyebrows, ears and nostrils. This is an easy upsell on any haircut or shave, takes between five and ten minutes, and will make you very popular with your clients (and even more popular with the ladies in their lives!). This is a half to full day course, depending on numbers, and cost is £120 (discounts available for group bookings). Available either in house or at our premises in Winchester or Basingstoke. I believe that we should never stop learning, and any new skills we learn have a knock on positive effect on any skills we already have. So, in addition to the courses already on offer, I am always developing new courses that will compliment and extend our existing ones. Here is a round up of the new courses coming during 2015. Male Facials – this may seem on odd one, but facials used to be a regular feature in barbershops, and still are in places like India and Turkey. This course will be linked to the launch of our own exciting range of rejuvenating shave products. Threading and Singeing – there is a lot of cross over between this and the Waxing For Barbers Course. In many ways the waxing is more efficient, but there is something particularly satisfying about mastering proper old school skills such as these. There is also no doubt that clients love having and watching these services. Barbering – due to popular demand I am developing a range of cutting courses with one of the best barber tutors. Courses will include basic barbering, conversion from hairdresser to barber, and advanced cutting skills. As we all know it can be a bit hit and miss getting notified by social media, so I’m going to be issuing a regular newsletter by email giving details of new courses, product developments, etc. If you’d like to be included on my mailing list please message me your email address.